Has been formulated for all Bodyboard deck surfaces where grip is essential, this excellent quality board wax can be applied to any Water Craft surface. 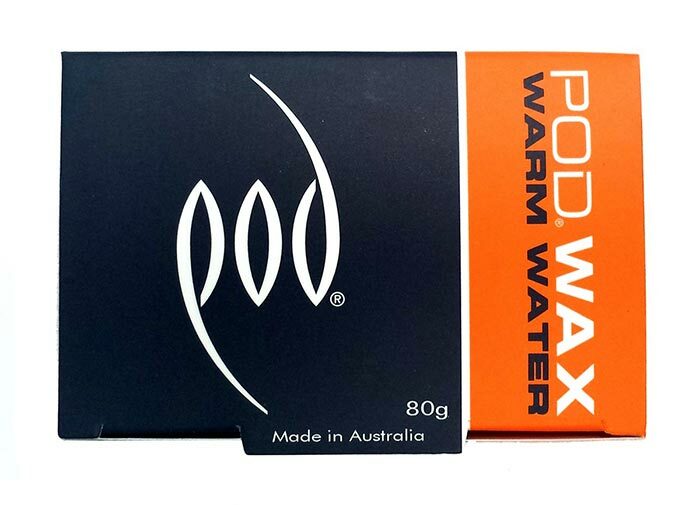 The POD Wax does not smudge ensuring excellent traction lasting over 3 times longer, it forms an great even bead surface which builds well with further application. 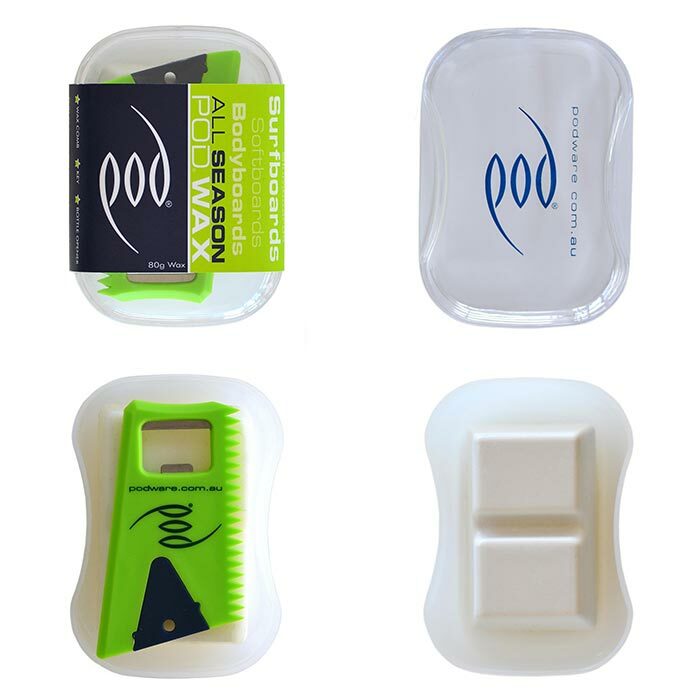 The POD Wax kit has a Reusable Container to keep out sand, dirty etc, the kit also contains a Wax Comb with Set Screw Key that retro fits most set screws used for any bodyboard leash, the wax comb also includes a handy Bottle Opener.